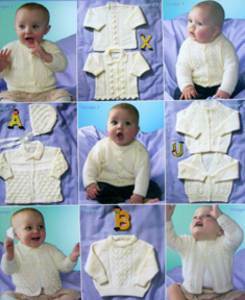 9 designs for babies from premature, 31 to 56cm (12-22in) . Includes cardigans, sweaters and bonnet. Knitted in 4 ply, 3 ply, 2 ply.